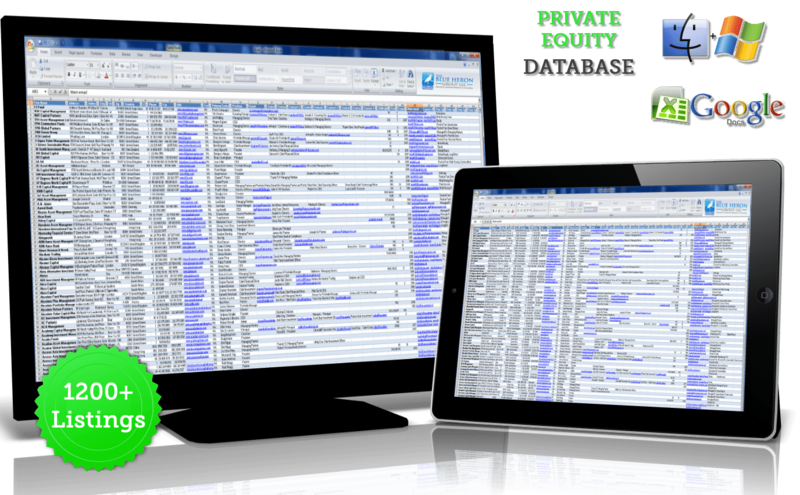 We are proud to introduce the most complete and affordable US private equity contact database. Download immediately for use with Excel and virtually all spreadsheet programs. Includes more than 20 categories of information on over 1,200 private equity companies in the US. Easily search, sort and filter by location, assets, # of employees, strategy and more. Compatible with virtually all spreadsheet programs. Free updates for 12 months included!